Home » Blog » GoPro red filter – Why and how to use it? Adding a GoPro red filter to your action camera will significantly increase the quality of your underwater photos and videos. Use red filter while snorkeling or diving and enjoy clear, sharp images without post processing! 1 Why do you need GoPro red filter underwater? 1.1 Why does everything look blue and green underwater? 2 What does a red filter do? Why do you need GoPro red filter underwater? Have you ever felt unsatisfied when replaying your snorkeling videos because all the footage was bluish without real colors? If it comes to underwater photography or cinematography, the biggest problem is how to get back the real colors. One solution is to buy a compact waterproof camera that has UW settings to correct the colors. You also can edit your photos and videos on your computer using Photoshop, Lightroom, PremierPro or any other software that can do color grading, but you need to learn how to use them and post-processing takes time. 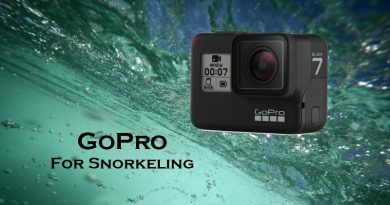 What if you have a travel size GoPro Hero6 / Hero5 camera only but still want to get perfectly colored underwater footage? Although GoPro cameras deliver great quality videos and sharp images but don’t have special settings for filming underwater. 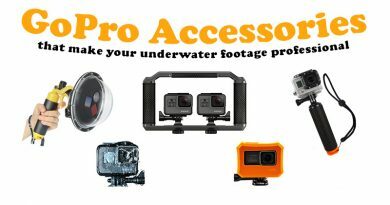 There are many different GoPro accessories for diving and snorkeling like underwater GoPro lights that can help you a lot to make your footage more natural. But the simplest solution for instant correction is using GoPro red filter! Tip: read what features make the new GoPro Hero7 Black better than Hero6 for underwater use! Why does everything look blue and green underwater? Water begins to absorb colors immediately as we descend meaning colors look washed out even in shallow water. Red wavelengths are absorbed at around 5 meters (16ft), orange at 10 meters (32ft). Yellow disappears at 20 meters (66ft), green at 30 meters (98ft) and eventually blue at 60 meters (197ft). 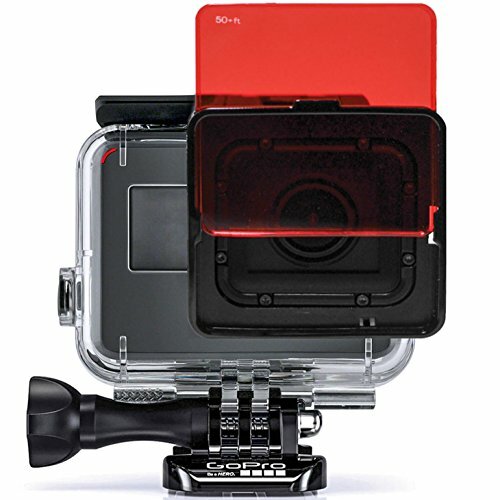 This means GoPro red filter is not only recommended for divers but also for snorkelers. Using GoPro red filter will instantly enhance colors and improve the contrast. 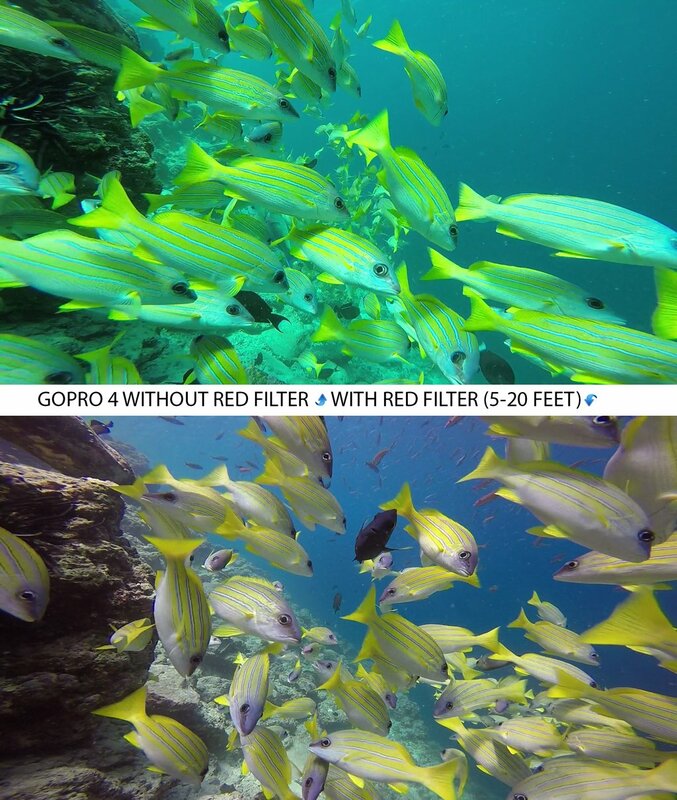 Choose one of the filters according to conditions and depth, and enjoy a colorful GoPro footage! What does a red filter do? Underwater GoPro filters work by adding back the red color spectrum to the image. Like this, the camera can select the right white balance, meaning colors will be natural again and your underwater photos will be bright and sharp. So if you were ever wondering how underwater red filter correct colors, the answer is really this simple: just put it on and enjoy filming, the red filter will take care of the rest! Underwater filters usually referred simply as red filter but it is important to know not all red filters are the same. 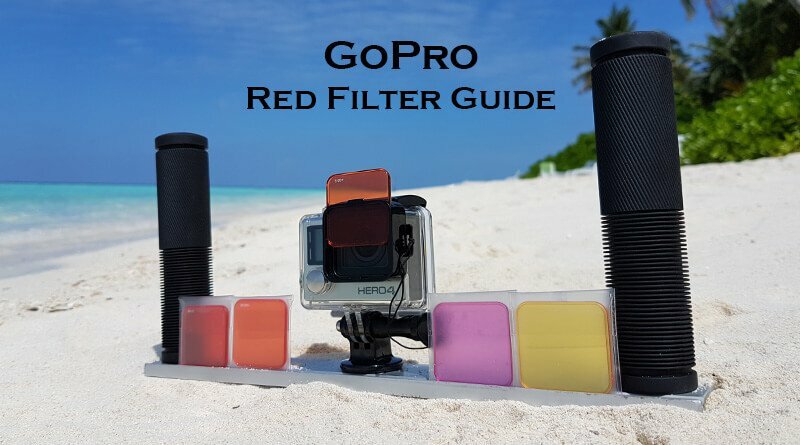 Red filters are designed for a specific depth rate and some GoPro filter kits include additional colors like yellow or magenta filter too. 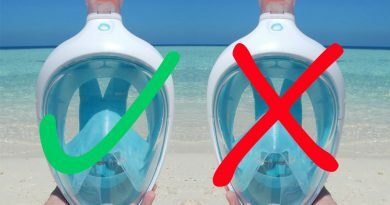 You need different filter if you dive in green water, in a freshwater lake or in the ocean. Red filter: use in blue water (tropical water). Generally, red filters work the best if you go deeper than 10-15 ft (3-5 m) but always check the recommended depth rate that you find on the filter itself or in the manual. Magenta filter: use in green water. Magenta filter works the best in cold, greenish sea water or in lakes. 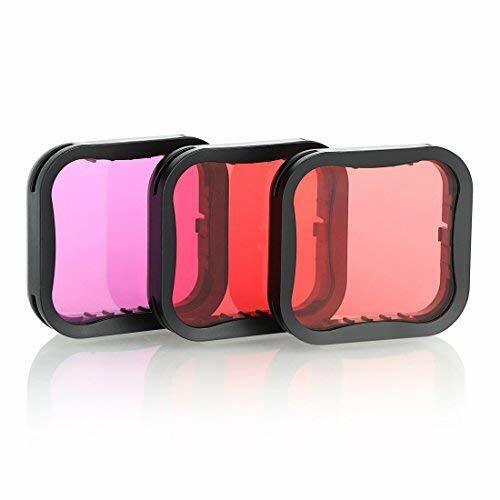 Some brands offer snorkel filter as well that is specially designed for shallow water snorkeling where a red filter for diving would be too much. The filter you need depends mainly on the water conditions and on the depth of your dive. Always decide how deep you want to dive and choose a filter accordingly. Using a stronger filter won’t make your footage better but will make it too red. Our advice is to put the filters in a pouch and keep the red filter kit with you so you can change them if needed. To avoid scratches, keep the filters in a storage bag when not in use. Before fixing the filter on your action camera, make sure that there is no sand or salt on it, otherwise your footage might be spotty. Rinse them with freshwater after use. Use clean, soft cloth for cleaning. Tip: Do you want to be even more professional in GoPro underwater photography? 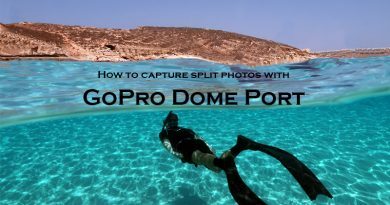 Learn how to take half underwater photos with dome port! The worldwide known PolarPro offers a wide variety of digital camera, drone and GoPro filters. The fact that all products are designed and developed by professional photographers guarantees that PolarPro red filter kit is one of the best GoPro red filter collection. Capture sharp and bright images with SANDMARC filters! Being as a high-quality accessory designer for GoPro and DJI products, you can be sure that SANDMARC Aqua filter kit delivers you a footage you’ll be satisfied with. 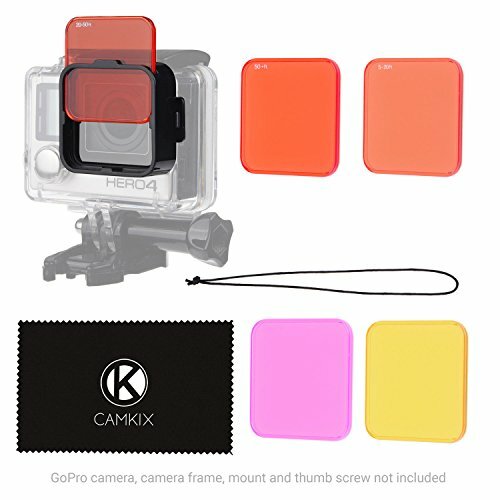 This GoPro red filter kit might be a good choice for those who use their GoPro just occasionally underwater and looking for an affordable product. We prefer editing our underwater videos using software, therefore, we didn’t want to spend a lot on the filters and decided to give a try to CamKix. 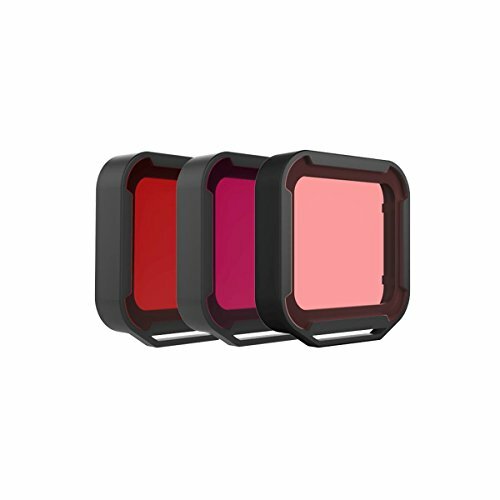 Camkix red filter kit for Hero7 and Hero6/5 also available as well as underwater filters for GoPro session. 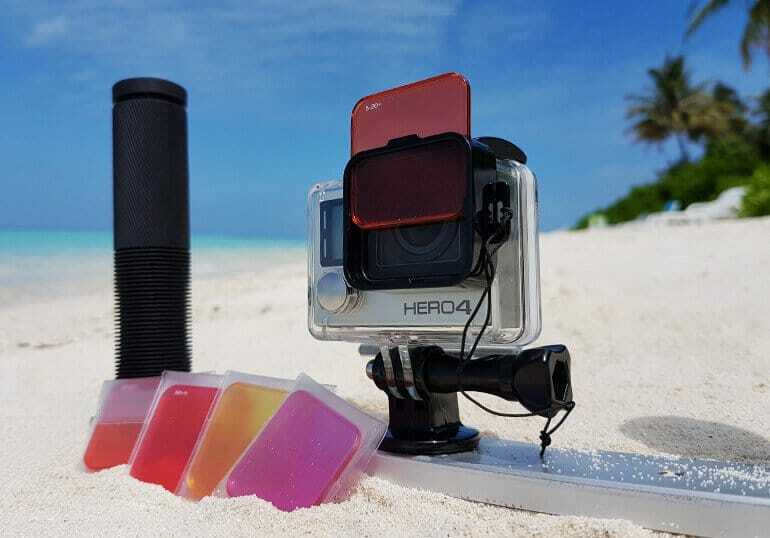 We have tested the Camkix GoPro red filter kit for Hero4 in different conditions in the Mediterranean Sea, Red Sea, Indian Ocean and are pleased with the results. Using the right filter colors are bright but natural, contrast improved. Photos and videos are more detailed. A nice surprise that the water seems much clearer on the footage than in the reality! 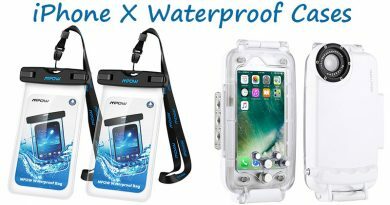 The filter holder can be mounted on the waterproof housing and fits perfectly. The Easy Clip and Slip system makes changing the different underwater GoPro filters simple and fast. In total, Camkix GoPro red filter set works pretty well! The filters we used improved the colors noticeably, the kit has a great value for money.